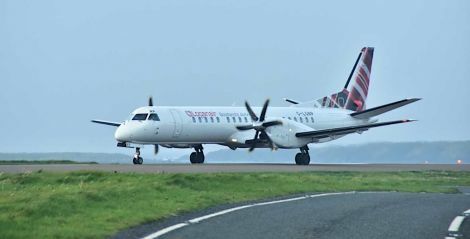 SHETLAND’s transport partnership ZetTrans is to write a letter to Loganair raising concerns over the airline’s winter timetable which sees the isles’ connections to Inverness, Orkney and Edinburgh affected. The timetable changes will mean it will be no longer possible to get a day return to Inverness or Orkney from Shetland, and time on a day-trip to Edinburgh will be cut. Concerns have been raised by students who attend Inverness College as part of their apprenticeship as they will have to travel to Aberdeen to fly back to Shetland instead of Inverness after their six-week stint south, affecting their Friday timetable in the process. Councillor Davie Sandison told Thursday’s ZetTrans meeting that a handful of appointments he had scheduled in Orkney through his role in the Scottish Salmon Producers’ Organisation had already been rescheduled or cancelled due to the changes. ZetTrans lead officer Michael Craigie said the timing of flights means that passengers won’t be able to reach the centre of Inverness until around 2.30pm, with the return flight leaving at 9.25am the next day – meaning that working time in the city would be about two and a half hours. The Inverness flight stops off in Kirkwall, meaning that connections to Orkney are also affected. Craigie added that students travelling to Aberdeen to fly could put extra pressure on capacity on flights from the city. He also noted that flights to and from Edinburgh are departing 40 minutes later from Sumburgh and 20 minutes earlier from Edinburgh. The council’s transport boss said that a staff member is now spending around one hour per week collating data from Loganair’s website around booking patterns and timetables. “I’m keen to ensure we don’t adopt a critical, negative position,” Craigie reiterated – but he added that it was beneficial to make Loganair aware of the concerns. VisitScotland’s Steve Mathieson also said that he had suffered from Inverness flights being full, while he said he had also ended up on one occasion getting the boat and driving rather flying. ZetTrans chairman Ryan Thomson added that he also had to get a train from Edinburgh to Aberdeen to fly back home after a recent Islands Transport Forum meeting as flights from both Scotland’s capital city and Glasgow were full. Vice-chairman Robbie McGregor, meanwhile, praised Loganair for offering passengers a chance to rebook flights free of charge if their travel to Sumburgh Airport had been affected by a road accident in the south mainland on Wednesday.